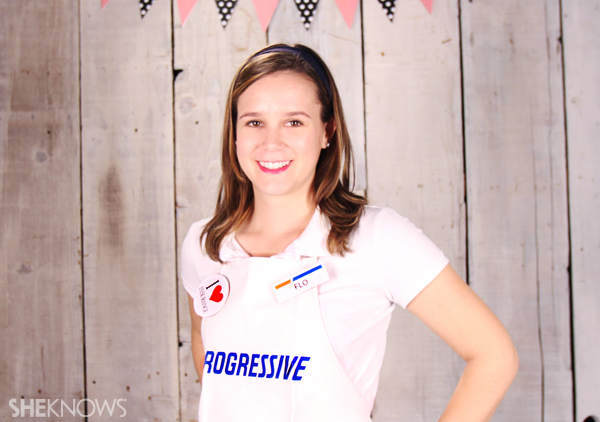 What’s not to love about Flo from Progressive? She’s smart, sassy, filled with knowledge about insurance and has a certain retro vibe about her that we really dig. 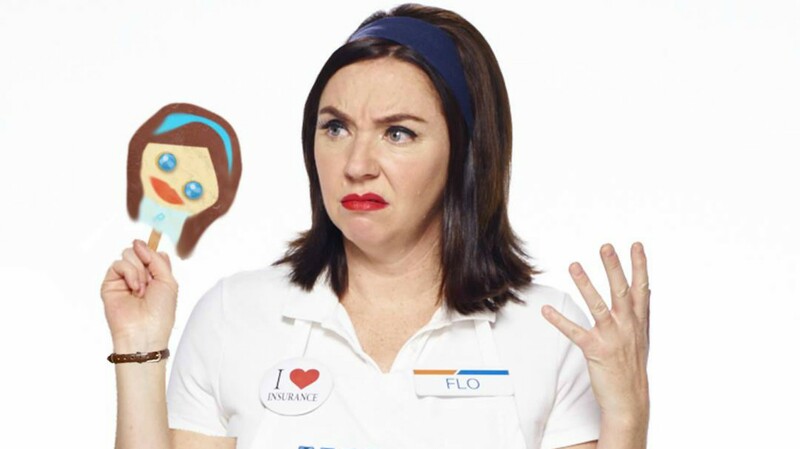 But the best part about Flo is that she makes for a super-easy and cute DIY Halloween costume. And you can make the whole thing for less than $30 instead of buying the premade version online — Flo would be so proud. These are items you may already own, and if you don’t, you can find them at just about any Walmart, Target or Michael’s nationwide. Using the iron-on transfer paper, create your Progressive logo by visiting their website. 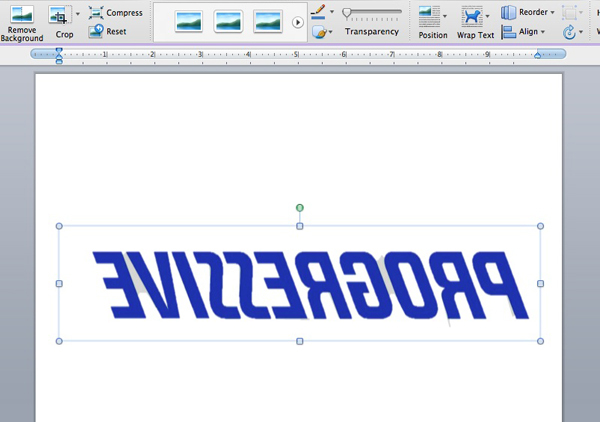 Since Flo seems to be a somewhat popular trend these days, Progressive has graciously provided you with a premade logo! After downloading the document, flip its orientation so that it appears backward on your screen. This is essential for your iron-on paper so that the logo will appear the right way on your apron. Print out the backward logo onto your transfer paper, draw a square around it (drawing the lines about halfway between the edge of the word and the edge of the paper), and cut it out along the lines of the square. Align the paper at the correct height on your white apron, and begin to iron. Make sure your iron is on the highest cotton setting, and hold it on the paper for about two minutes, or until the edges begin to turn yellow. 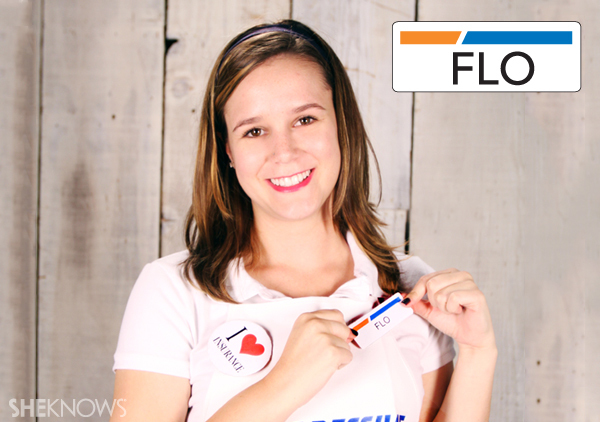 Just like the Progressive logo, Flo’s snazzy name tag is provided on the website as well. It even gives you the option of typing in whatever name you want, so you can use your own name if you so desire. After you have assigned a name to the name tag, select “Print Preview” on your computer. Once in this screen, be sure to take the size down from 100 percent to 85 percent so the name tag doesn’t print out too big. Continue to print the name tag out on regular printer paper. Once you have your name tag in hand, cut it out, but be sure to leave some space around it (cut along a line about halfway between the edge of the words and the edge of the page). Trace the outline of your name tag onto your cardboard, and cut it out. Fold the extra edges over the edge of your cardboard, and make sure the name tag fits. Then glue the paper to the cardboard. Originally published October 2012. Updated October 2017.